Some people love styling straight hair but it’s not actually easy to take care of straight-hair because most people have naturally wavy or curly hair-types. In fact, your hair cant remain straight when you sleep and waking-up in the morning and you actually need to style it again inorder to make it straight again. 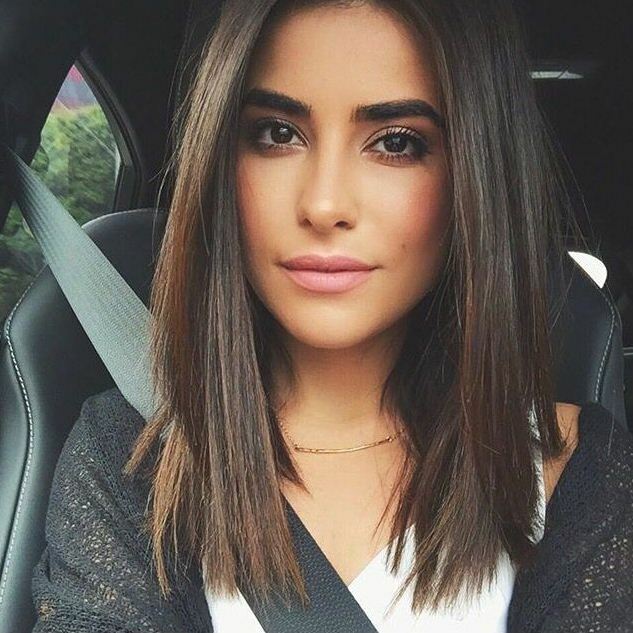 so, if you have straight but when you don’t know how to take care of it then consider taking brief look through this post inorder to learn new things about taking care of your straight-hair. Brush hair before washing it: you need to brush-out your hair inorder to remove any tangles/knots before you get it wet. In fact, if you don’t brush through your hair before washing it then it will become more knotty afterwards. On the other hand, you should use a wide-toothed-comb to brush through your long-hair and regular-brush to comb through short-hair. Rinse your hair: after brushing-out your hair, you will have to rinse it out using clean-water only inorder soften your hair before you begin to thoroughly wash it with a shampoo and conditioner. Apply a small-amount of shampoo into your hair: pour a small-amount of shampoo into your hands and then rub hands together inorder to create shampoo-foam. Afterwards, work the shampoo into your hands and then begin scrubbing it into your scalp using fingertips but try to be very gentle during this process. However, you must know that hair shouldn’t be shampooed daily but for at least twice a week for best results. Additionally, if you have oily-hair, then avoid scrubbing your scalp because this causes an over-production of natural-oils. Condition your hair: a using a quality conditioner on your hair will help to keep it healthy and even make it easier to untangle after washing it. In fact, you will need to use a moisturizing-conditioner if you have dry-hair and consider using a basic-conditioner on the hair-ends only if you have oily-hair inorder to avoid over-conditioning hair. Brush-out and rinse your conditioned-hair: use a wide-toothed comb to brush through your conditioned-hair just before rinsing it out. 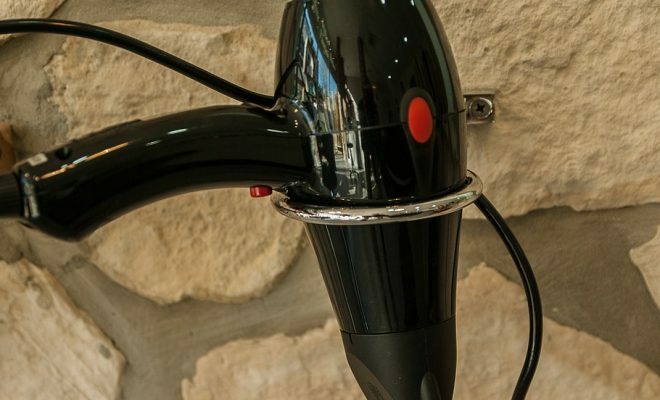 Afterwards, rinse the conditioner out of your hair completely and try to be extra-careful during the rinsing process so that you avoid snarling the ends. Gently dry-up hair with a towel: get a clean fiber-towel and then use it to blot hair dry inorder to remove excess water. In fact, you avoid rubbing your hair with a towel during the drying process because this can damage the hair-ends severely. Brush hair again after drying it: you will need to brush hair again when it’s completely dry while using a wide-toothed comb and you may even apply a hold and shine enhancing hairspray to hair inorder keep your hair straight and looking shiny. Consider trimming hair every 4-to-6 weeks: if you have straight-hair, consider trimming it every 4-to-6 week’s inorder to remove any split-ends. In fact, straight-hair is the most prone to split-ends and this implies that it should be trimmed more often than other hair-types. 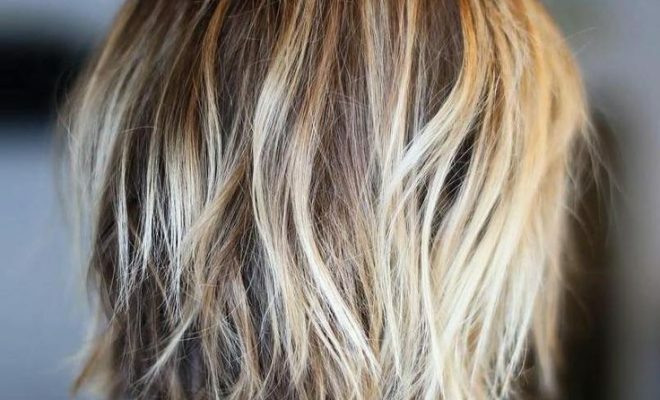 Avoid washing thick and stiff hair daily: thick-hair actually taps a lot of sweat and grime inside and this implies that it needs more attention and care compared to other hair-types. However, you should avoid washing tick-hair daily because this can remove its moisture and natural-oils immediately. So, consider washing thick-hair every 2-days inorder to keep healthy and clean without damaging it. Use a quality shampoo on thick and stiff hair: consider using a high-quality shampoo on your thick-hair inorder to help keep it healthy. In fact, consider using a shampoo that contains herbal-essences on your thick-hair because such shampoos offer more health-benefits to hair than other shampoo-types. Use a good conditioner on your thick-hair: using a quality conditioner on your thick-hair will actually help to keep hair feeling soft and luminous. In fact, most shampoos are provided with a matching hair-conditioner but in case you shampoo doesn’t include a conditioner then just consider buying yourself a good conditioner that will help treat your thick-hair. so, apply the conditioner gently throughout your thick-hair and then let the conditioner sit within hair for a few minutes before rinsing it out inorder to achieve effective results. Add some natural-substances to your shampoo: adding natural-substances like honey and others to your shampoo can actually help to heal and protect your thick-hair. On the other hand, you may even consider using only natural-substances to clean and treat your thick-hair inorder to keep it in a perfect condition since most artificial hair-products contain harsh-chemicals that may cause severe damage to your hair. Always comb your thick and stiff hair: always through your thick-hair inorder to keep it tangle-free. Afterwards, you can brush through your hair inorder to add shine and extra-volume to it. In fact, you may consider carrying a comb/brush inorder to brush through your thick-hair whenever it gets messy. Protect your thick-hair: you will need to protect your thick hair from unfriendly environments inorder to keep it healthy and in good-shape at all times. so, avoid getting your hair sweaty and avoid exposing it to direct sunlight because this can make it look very dry and frizzy. Additionally, you should cover your hair if you’re in dusty environments inorder to prevent grime form building up inside hair. On the other hand, always put on a swim-cap over your thick-hair if you’re going to swim because this will help to protect hair from the harmful chemicals like chlorine which are usually used to treat water in swimming-pools. Have your thick-hair trimmed every 3-to-4 months: you will need to trim your thick-hair every 3-to-4 month’s inorder to prevent split-ends. However, you should only trim about 1/2 or 1-inch length from your hair so that you don’t lose your precious hair-locks. 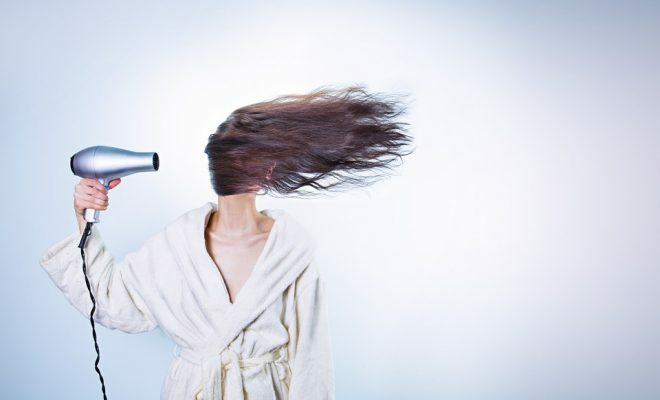 Avoid using heat-styling tools on your hair: using blow-dryers, curling-iron and straightening-irons over hair can actually cause severe damage to your thick-hair. 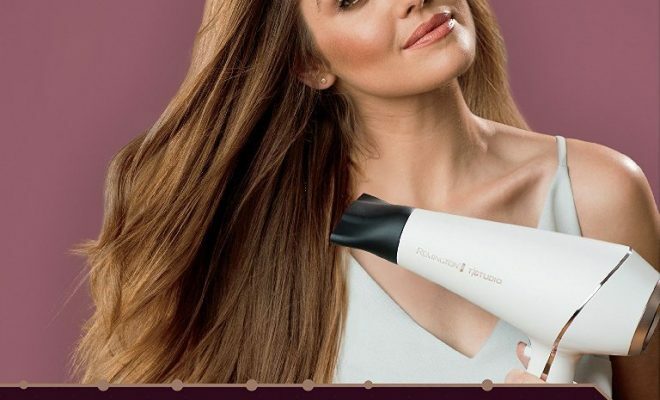 So, avoid using these heat-styling tools over your hair and if you have to use them then consider setting them to the coolest heat-setting.